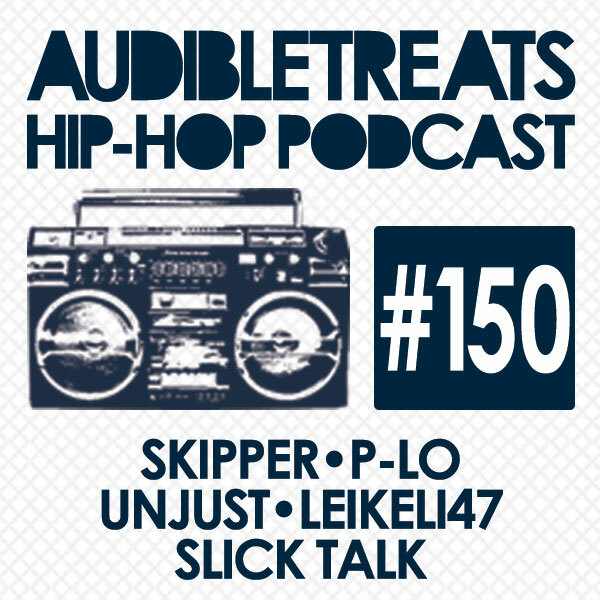 New Audible Treats Hip-Hop Podcast 150 FeaturesSkipper, P-Lo, Unjust, Leikeli47, And Slick Talk! This week, Audible Treats presents the latest Hip-Hop Podcast, showcasing a diverse selection of recent music from our artists. Starting things off is HBK Gang’s Skipper with “Never Enough,” a track from his latest mixtape Wet 2. The song was produced by HBK labelmate P-Lo, who gives us our next entry with “The Vibe.” Following him is newcomer Leikeli47’s “C&C,” which was recently debuted with a video on The FADER. Next, Slick Talk of The LOEGz delivers a deep solo cut with “That Lower (Southside).” “Fire” rounds off our latest podcast as Hiero Imperium artist/producer Unjust delivers a cut from his latest instrumental tape Full Melt. Stay tuned for our next podcast.